Last month G&G celebrated 70 years of existence - quite an accomplishment in Chicago and considering the economic times now and past. 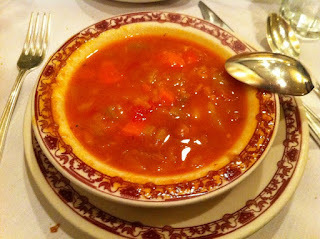 They celebrated by with a special 5 course menu served at 1940s prices, i.e. $15. We received soup and salad to start, a choice of main course, side and dessert plus two glasses of wine. It was without a doubt an amazing deal, but unfortunately likely not representative of the quality of food on regular nights. The service was frantic and erratic taking a long time to get any attention. 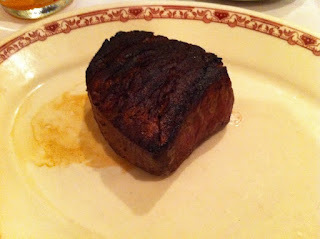 The food was clearly mass produced lunch line style to accommodate the demand, especially the filet. It's hard to mess up a house salad and soup and both were fine but the steaks tasted un loved. I was most surprised with the tasty sides of cottage fries and spinach. 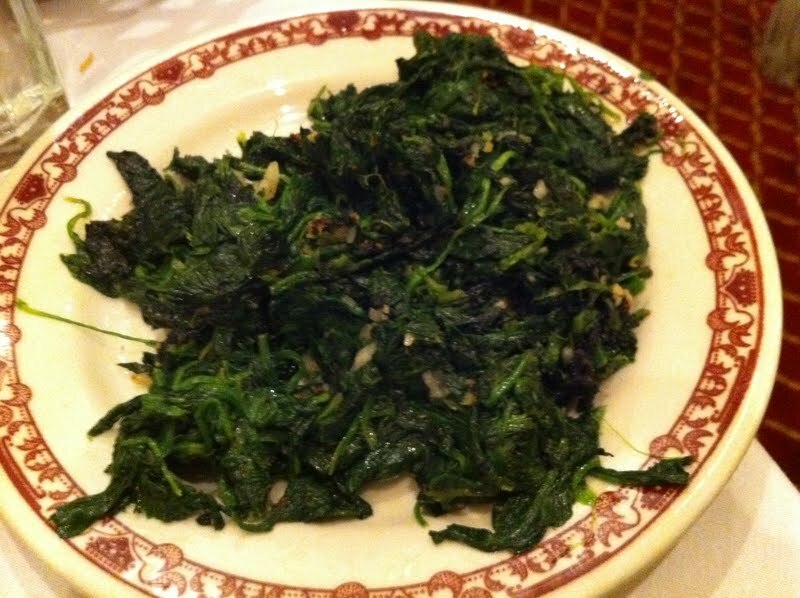 The spinach was drenched in oil and garlic, but that's not really a negative at an Italian steak house. Our dessert of ice cream was also fine, but that too is hard to goof. I won't judge or grade Gene & Georgetti on such a unique evening that is far from the normal experience (at least I hope so). We received our money's worth in wine alone so everything else was bonus. 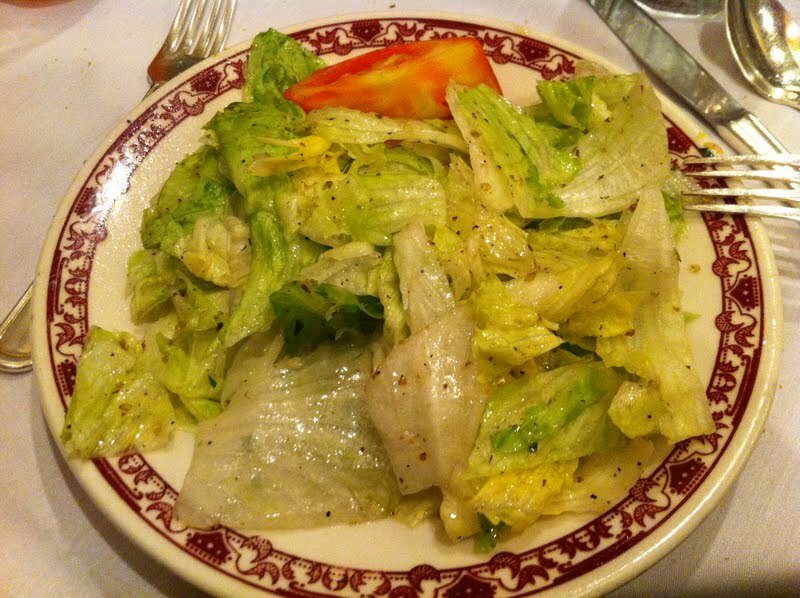 It's hard to dismiss the undeniable character of G&G and can feel in the walls the various mobsters and celebrities that have dined at that same corner 70 years previous. I've heard good things so the chances are high I'll return for a normal meal. Our food was meh and the services was even worse, but the bill was more than right. I'm glad to have helped celebrate a milestone of a Chicago institution and hope it's around for 70 more years.